Replaced roof using Owens Corning in Onyx Black. 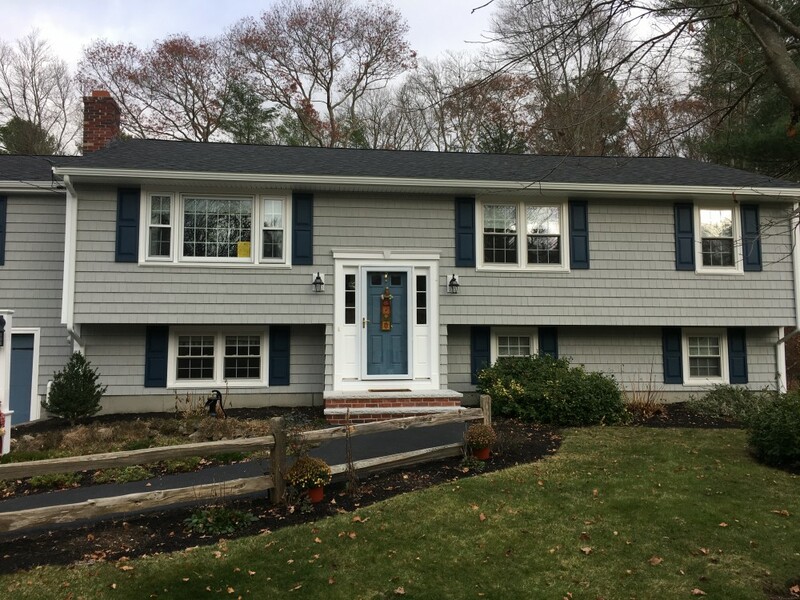 Replaced siding using Alside vinyl shingles in Cape Cod Gray, White trim and Classic Blue shutters. New gutters.